If you want to ensure that your website is accessible to a search engine and improve its chances to be found by potential customers then you should hire a SEO service provider. He will use the extent of his knowledge to rank your website higher in the SERP and all SEO service providers usually offer a range of packages and options for search engine optimization for smaller businesses and monthly subscriptions for continuous SEO support. We kept using the SERP acronym and if you are wondering what it means here is the answer. SERP is short for search engine results page. All major search engines usually display three kinds of listing that have been indexed by the search engine’s spider. These listing have been indexed in the search engine’s directory by a human and are paid to be listed there. Black hat SEO refers to the use of aggressive SEO techniques that focus on search engines and not the human audience and these strategies usually do not obey the guidelines of search engines. Some practices of black hat SEO include doorway pages, keyword stuffing, adding unrelated keywords to the page content, invisible text or changing the webpage entirely after it has been ranked by search engines, also known as page swapping. Black Hat SEO will possibly result in your Web site being penalized or banned from a search engine and cannot be considered a long term investment. It is more frequently used by those who are looking for a quick financial return. Most experts use Black Hat SEO since the focus is usually on quick high return business models and consider being banned from search engines an irrelevant risk. Black Hat SEO is and always should be considered as unethical. Also called Ethical SEO the White Hat SEO is used by those who aim for a long-term investment on their website. White hat SEO in the search engine optimization world refers as the usage of optimization strategies that completely follow search engine rules and policies and rely on a human audience opposed to search engines. A website that focuses on relevancy and organic ranking and is optimized for search engines is considered to have used White Hat SEO practices. A natural placement on organic search engine results pages is achieved by processes that compose Organic SEO. Several examples of the techniques and processes that are used for organic SEO are formed by using keyword analysis and keywords, link building, back linking and writing relevant content for any human reader that might be interested in the subject. SEO is short for search engine optimization or if you are referring to the person doing the work search engine optimisation. Search engine optimization is a popular methodology that combines different strategies, tactics and techniques with the purpose of increasing the amount of visitors to a website. This is being achieved by obtaining a high placement in the ranking of the search results page of a search engine, otherwise known after the short version of SERP. The most popular search engines to date are Google, Bing or Yahoo. The ranking of a site in a search is essential for directing more visitors toward the site due to the fact that it is well known Internet users don’t click through pages and pages of search results. The chance for a user to visit a site increases proportionally with the higher it ranks in the organic results of a search. SEO make a website more accessible to a search engine and it greatly raises the chances for a website to be found by search engines. SEO usually combines different sets of “white hat” techniques and best practices that will help the site achieve a better ranking in the SERP (search engine result pages). Google uses PageRank as a function of the quantity and strength of inbound links. PageRank estimates the likelihood that a given page will be reached by a web user who surfs the web by following links from one page to another. A higher PageRank page is more likely to be reached by the random surfer. Search engines typically incorporate a wide range of undisclosed factors in their ranking algorithms to reduce the impact of link manipulation and this is what Google is doing as well. The algorithms used to rank pages by the leading search engines Google, Bing, and Yahoo have never been disclosed. This being the case some SEO practitioners have studied different approaches to search engine optimization. A decade ago, Google began personalizing search results for each user by making use of their history of previous searches. This way Google crafted results for users that were logged in. Bruce Clay mentioned that “ranking is dead” because of personalized search. Because website ranking would potentially be different for each user he made the above statement. Google caffeine was a change to the way Google updated its index in order to make things show up quicker on Google than before and a statement made by a Google employee perfectly described the situation as he said that “Caffeine provides 50 percent fresher results for web searches”. With the growth in popularity of social media sites and blogs the leading engines made changes to their algorithms to allow fresh content to rank quickly within the search results. This lead to introducing the Google Instant, real-time-search in late 2010 in an attempt to make search results more timely and relevant. Historically websites have copied content from one another and benefited in search engine rankings by engaging in this practice and as a result Google announced the Panda update in February 2011, which penalizes websites containing content duplicated from other websites and sources. 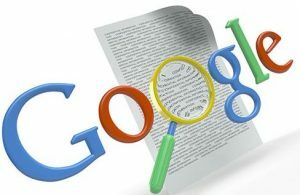 This way Google implemented a new system which penalizes sites that contain duplicate or non-unique content. The following year in 2012 Google Penguin was an attempt to penalize websites that used manipulative strategies to improve their rankings and the 2013 Google Hummingbird update included an algorithm change for improving Google’s natural language processing. This update also improved the semantic understanding of web pages. Author seottPosted on May 31, 2016 1 Comment on Hello world!